As a small business owner, you traditionally get your books done or reviewed by a professional to see how you did in the past. This historical information is important, but how useful is it in terms of helping you grow your business? After all, your past is exactly that, The Past! 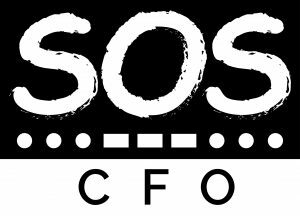 While traditional accounting firms concentrate mostly on compliance work like taxes and historical financials, all important services, SOS CFO offers you more! We offer processes to help you plan for a brighter future and reach your goals. While other’s stop at analyzing the past, we keep you always looking forward. HOW? In addition to providing convenient and easy to manage accounting and compliance services we provide forward looking information and processes that traditional firms don’t. SOS CFO offers analysis of past performance and will help you tailor a strategic plan for the future. SOS CFO will then work with you on making sure you are tracking to that plan using tools such as monthly rolling budgets and forecasts, real-time analytics to help track your accounts receivable, payables, cash and your most important Key Performance Indicators and trends. Each month SOS CFO will help you identify potential issues and opportunities for growth and improvement and can even help you conduct planning and budgeting meetings with your team to help you get everyone working together toward reaching your ultimate goal and help you ensure everyone remains on track. Have a new product or market you want to exploit? SOS CFO will be able to analyze the effects of your new product and plan accordingly. SOS CFO can analyze the impact of new investments such as purchasing new equipment. SOS CFO will help you stay on top of your business with real-time analytics, allowing you anticipate rather than react to potential issues. 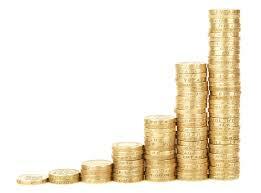 Need Venture Capital or a bank loan? SOS CFO will be able to produce professional forecasts for third parties to review at a drop of a hat. SOS CFO …. Always looking forward!  Services below may be added. CFO Strategic Alignment – Strategic planning and alignment services may be added to any of the above services.